With offices in 47 countries, the Tzu Chi Foundation is one of the largest charity organizations originating from Taiwan. For over forty years, the organization has provided services for those in need worldwide. What began as simple charitable work with Dharma Master Cheng Yen and thirty housewives has gradually expanded into the eight fields of compassion in action. They are: charity, medicine, education, culture, international relief, bone marrow donation, environmental protection and community volunteerism. To this day, nearly all services are provided by foundation member volunteers, who labor with an attitude of love and gratitude towards all people. The cycle of natural disasters lead back to human kind. When people have less and less respect for Mother Nature, she will surely respond with endless calamities. The Buddha said, "All creatures share a common karma because we all receive the results of our actions." Why have we forgotten to treat one another first with gratitude, contentment, good will and understanding? In our loss of respect for each other, there is not enough love or an awakening of our innate universal love. Should we remember that all creatures in the universe are one, we would then know to let go of our egotism, set aside our mutual misunderstanding, and eliminate our selfishness. From the depths of our hearts will arise a reverent love for all beings and we will return to the true, clear essence of our human nature. The Buddha's teachings are neither so difficult nor profound. They are simple directions for our daily lives. 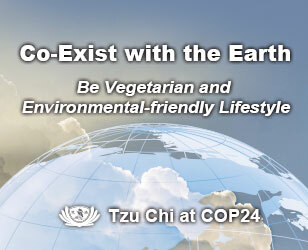 The Tzu Chi Foundation endeavors to put the spirit of Buddha's teaching into daily life. "We learn from what we do and we do what we have learned." In this way, we experience the meaning of the admonition, "Let the Buddha be in your heart, the dharma in your words and love in your deeds." Education in the essence of purifying human minds must not be overlooked. Tzu Chi teachers "treat all children with the hearts of parents and treat their own children with the wisdom of bodhisattvas." In this way, the love that they teach will truly sprout, grow and blossom. For over forty years, millions of people have enthusiastically responded and joined in Tzu Chi's cause for compassion relief work, without complaint or regret. We deeply believe that in every heart there exists priceless, great love. In a rare meeting with Master Cheng Yen, His Holiness the 14th Dalai Lama stated, "Why should we help people who are in pain and in need of help? It has nothing to do with religion, race or nationality. It has to do with the fact that they are our fellow human beings. Therefore, Master Cheng Yen's compassion, which transcends all borders, and the persistent efforts she makes in helping people fill my heart with respect and joy." Tzu Chi people, emanating the compassion and the thousand hands and eyes of bodhisattvas, immediately respond to calls for help regardless of who is in need of that help. Our international relief work demonstrates first hand the truth of the Buddha's teaching that "All beings are equal." This is the meaning of "Great mercy even to strangers and great compassion for all." Tzu Chi relief team members are honored for the opportunity to use their abilities and skills to help end suffering and give their time and financial resources to bring themselves to disaster areas to distribute relief supplies. Overcoming obstacles of time, distance, and politics, the Tzu Chi Foundation has provided compassion relief to victims of war, flood, and drought in 69 countries. 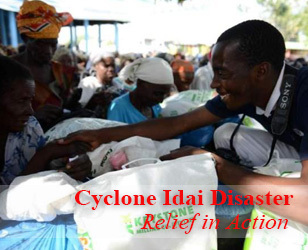 Tzu Chi provides food, clothing, material necessities, medical care and spiritual consolation for victims of disasters, the sick, and the elderly. Tzu Chi strives to educate the rich by demonstrating that giving and service are more meaningful than pursuing wealth, power and prestige. Our hearts are full of gratitude in serving our long-term care recipients and disaster victims. Their misfortune is our occasion to use our ability to end their suffering and access our universal love. In our common karma we, the poor and the rich, help each other transcend misfortune wrought by human impurity. Tzu Chi's medical care network includes six hospitals in Taiwan and a system of free mobile clinics around the world. What is unique about Tzu Chi's medical service is the attitude of the personnel. Tzu Chi doctors and nurses treat patients as they would their own kin, and with the intent to heal patients in both body and mind. Tzu Chi does not only aim to treat the symptoms of a disease, but to address how a patient's illness affects daily life and family. The Tzu Chi International Medical Association (TIMA) was established in 1996: it how has 58 branches in 11 countries and more than 7,000 professional medical volunteers. It has provided free medical services in 39 countries around the world. In 1993, Tzu Chi has established the marrow donor registry, Buddhist Tzu Chi Stem Cell Centre, which has handled over 1,801 marrow transplants in 27 countries. Tzu Chi people have walked on the path of love for more than forty years. We have experienced success as well as disappointment, but we have always fearlessly upheld the attitude to "Just do it!" 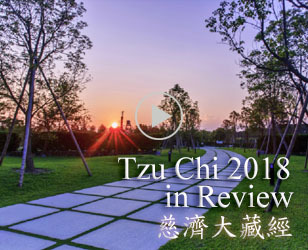 Having grown from its original thirty members to the millions of members from around the world, members of Tzu Chi have walked in one heart and one mind on one path to accomplish its four missions. If every person can give love without asking for anything in return, we can look forward to a world of certain peace. We encourage you and many more people to join us in lovingly creating a new millennium filled with goodness, beauty and truth.